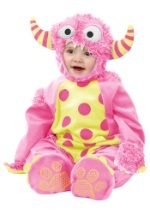 This Pinky Winky Monster Costume is crawling toward you! 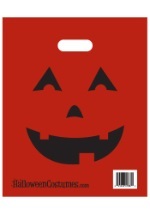 Are you scared? 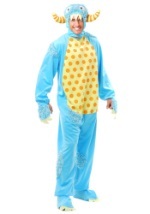 This 100% polyester pink romper velcros up the back with small velcro tabs and features a yellow bow tie, yellow stomach with pink belly button, and yellow feet. 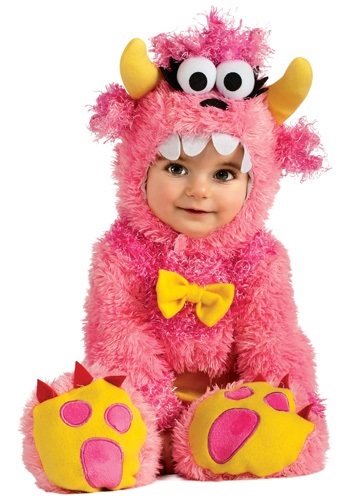 Hot pink fuzzy trim lines the collar and the bottom of the sleeves. 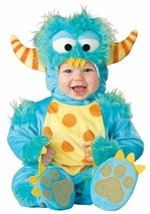 The monster headpiece has yellow horns, googly eyes with eyelashes, and a row of felt teeth. 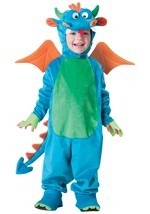 Check out this monster costume in blue for boys!